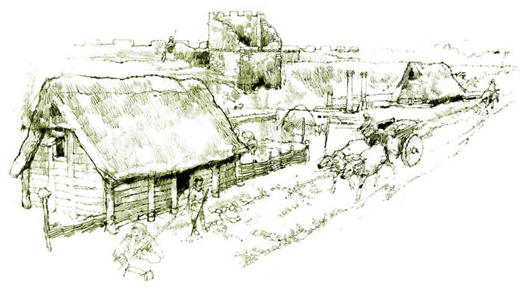 Saxon settlements nestle amongst the ruins of Roman Canterbury in this sketch by Time Team's Victor Ambrus - a stage of the city's history which eventually witnessed fresh building out of the Roman remains. Original text copyright © P L Kessler and the History Files. Go back, or return home.